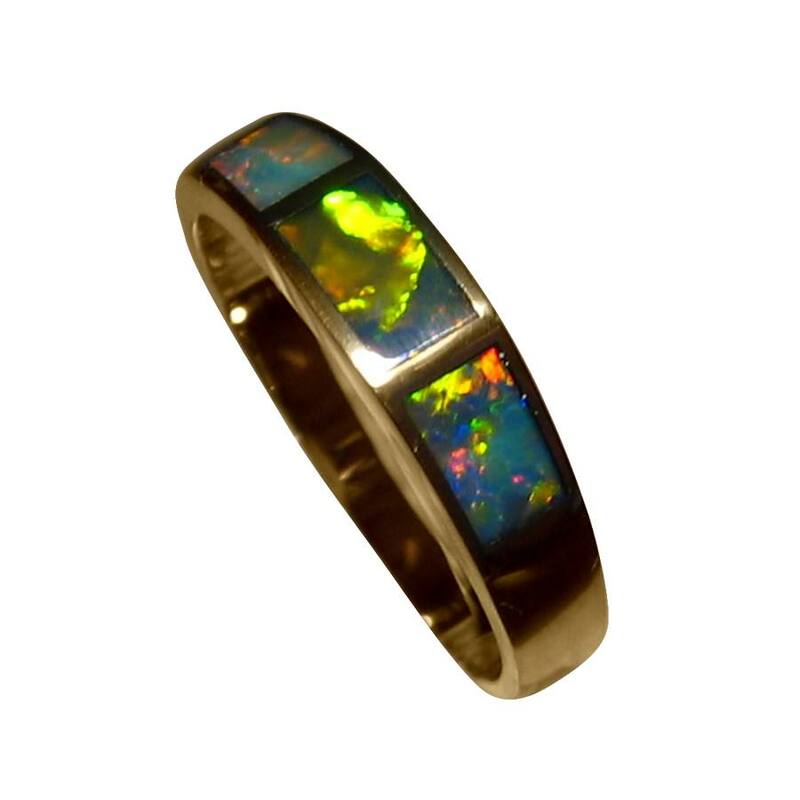 An inlaid Black Opal ring in 14k Gold with three unique solid Black Opals. In stock and ready to ship. 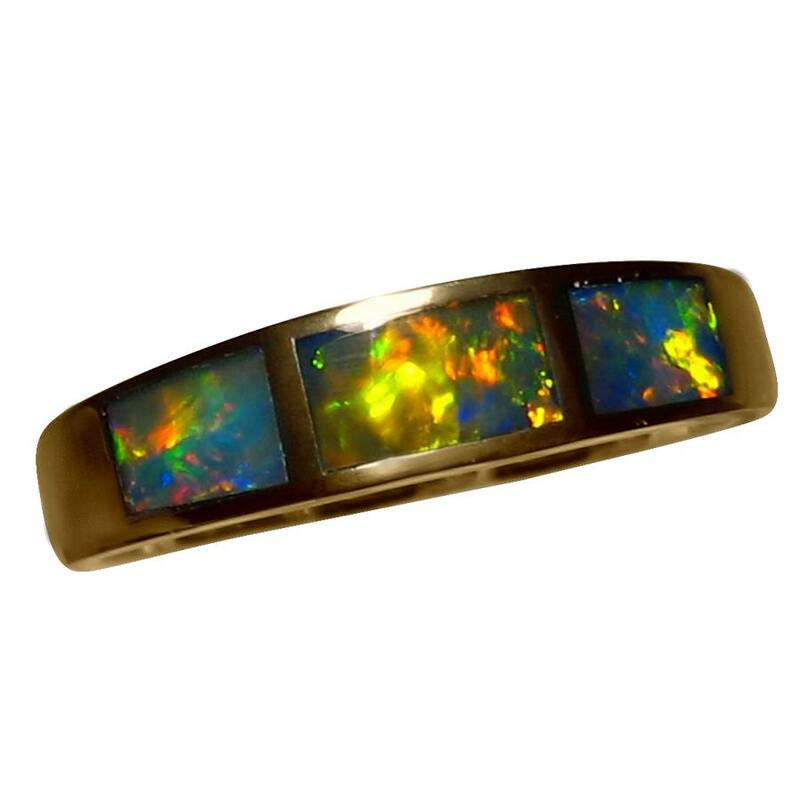 This Opal band has three vibrant solid Black Opals that flash an amazing mix of Orange and Yellow. 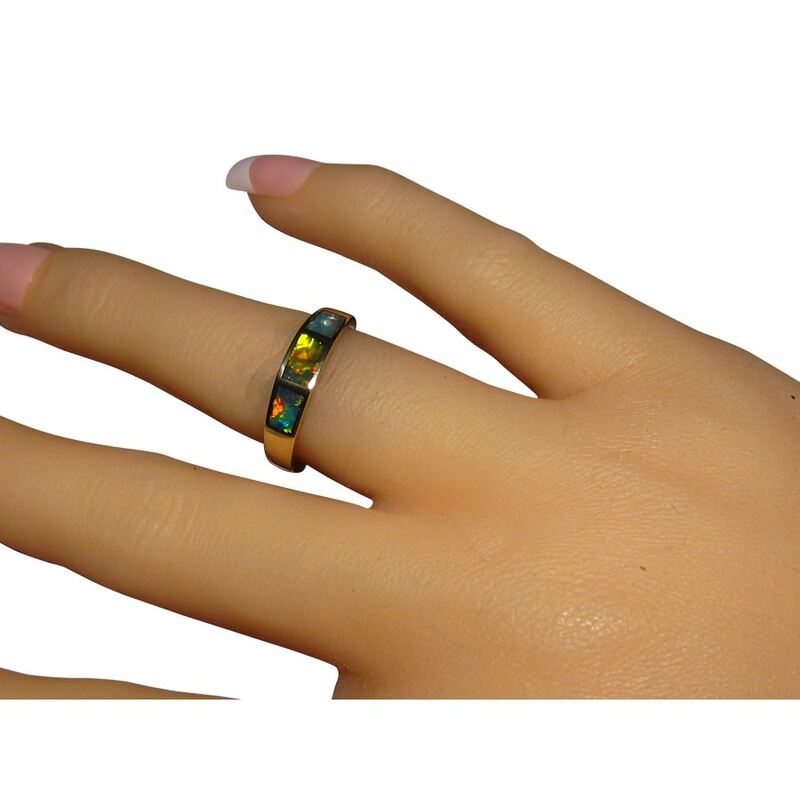 The 14k Yellow Gold ring weighs almost 3 grams and is 4.5 mm wide which is a good width for most hands. 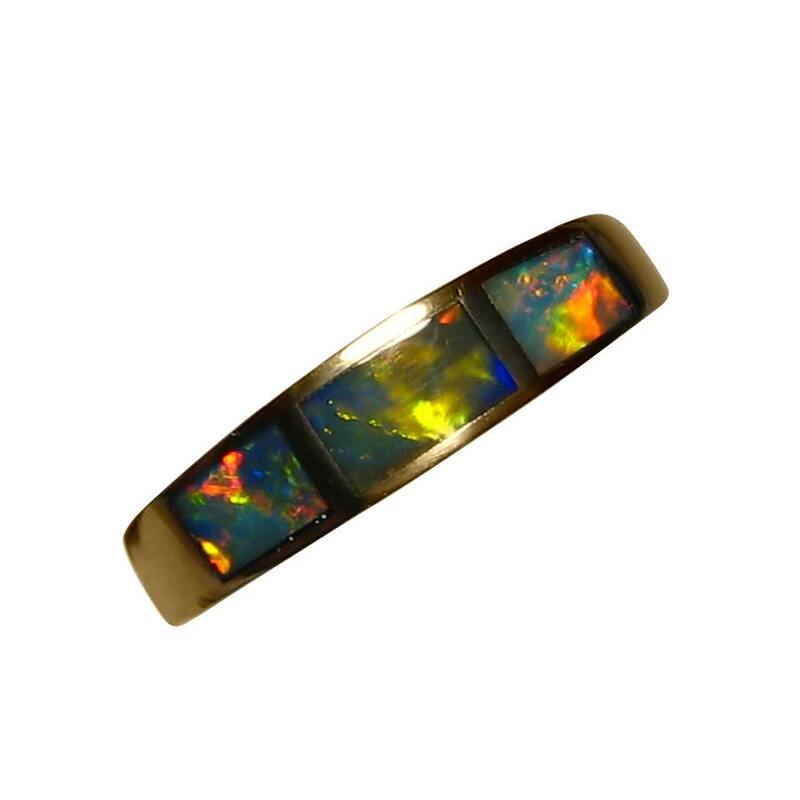 The Lightning Ridge Black Opals are solid and have been expertly inlaid in the ring for minimal gaps and ideal play of color which you will see in the video below. 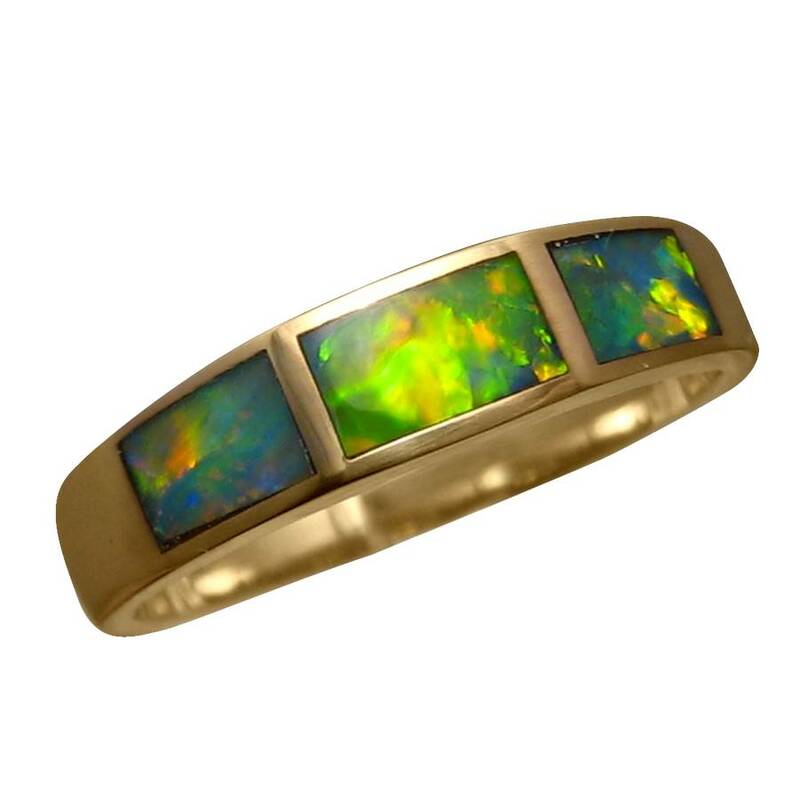 This quality Black Opal ring is ready to ship as detailed below or if you would like one made in your ring size or choice of Gold color, contact through this page for confirmation of availability of unique Black Opals like these.